Designed, hand crafted, and painted by artist J. Michael Orr. 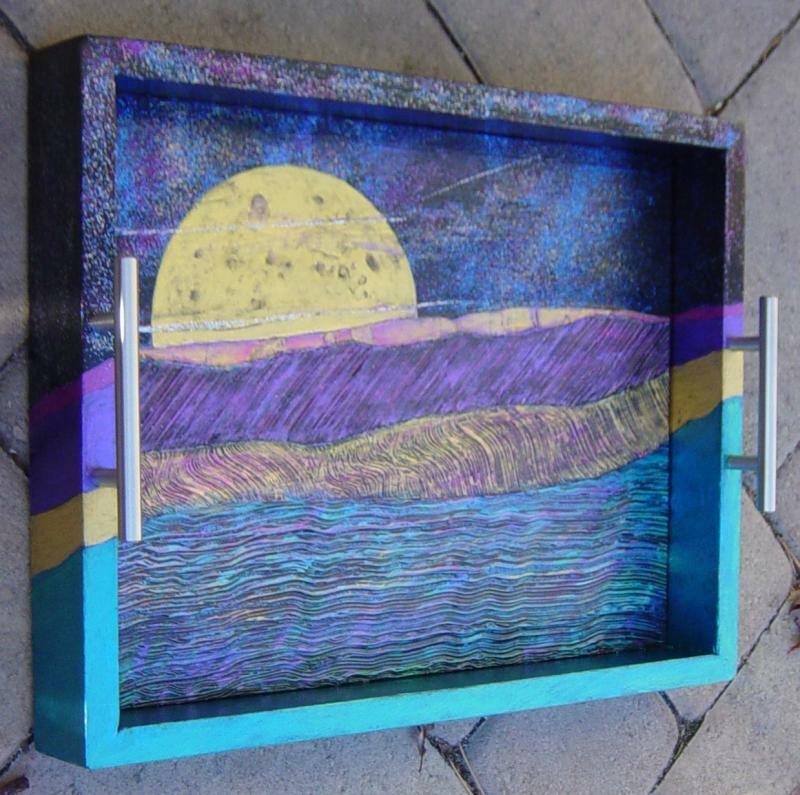 A "one of a kind" original piece of art plus a serving tray all in one. A unique way to make a presentation to your guests or family. Has glass bottom.